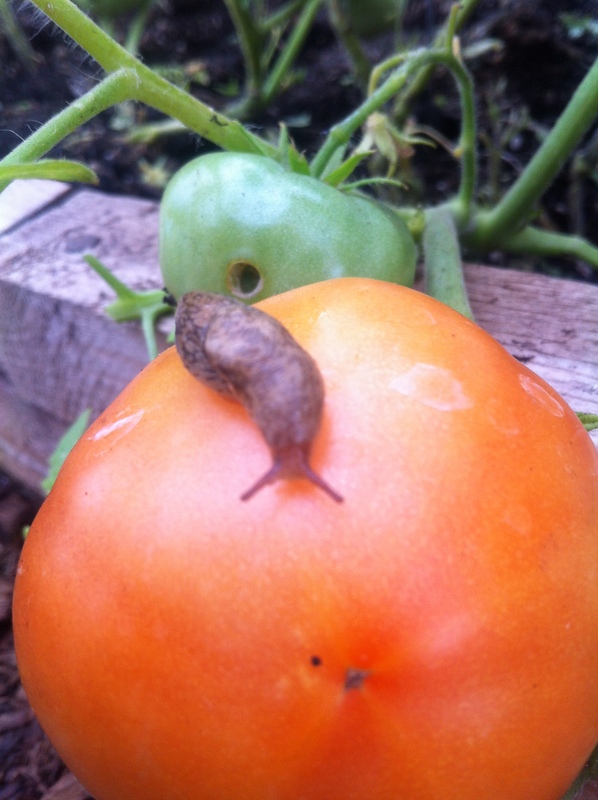 For the first time ever, I have encountered slugs in our greenhouse. Regular visits to the nursery and trial plots during the growing season allow us to keep a good check on the plants, pest problems and potential crop failures. Most days, we can enjoy the solitude in nature, but every once and awhile we stumble across problems. Damp, shady areas are a favourite place for slugs to live, while they eat away at lettuce, strawberries and other garden vegetables. 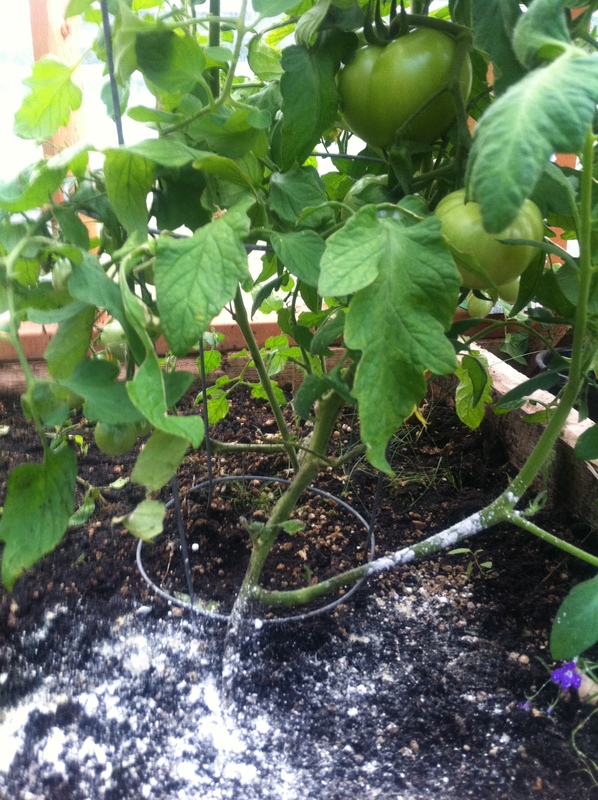 Small holes in our tomatoes were the first sign of problems. The first line of defence was to decrease the dampness by removing the leaves from the first foot of the plant. This not only allows for better air circulation, but also allows us to check for more slugs hiding on the soil surface. It was also important to pick up the dead leaves and fallen tomatoes from the soil surface as this would encourage disease as the leaf litter rotted. The Beer Trap ~ slugs are attracted to the fermented yeast in beer. 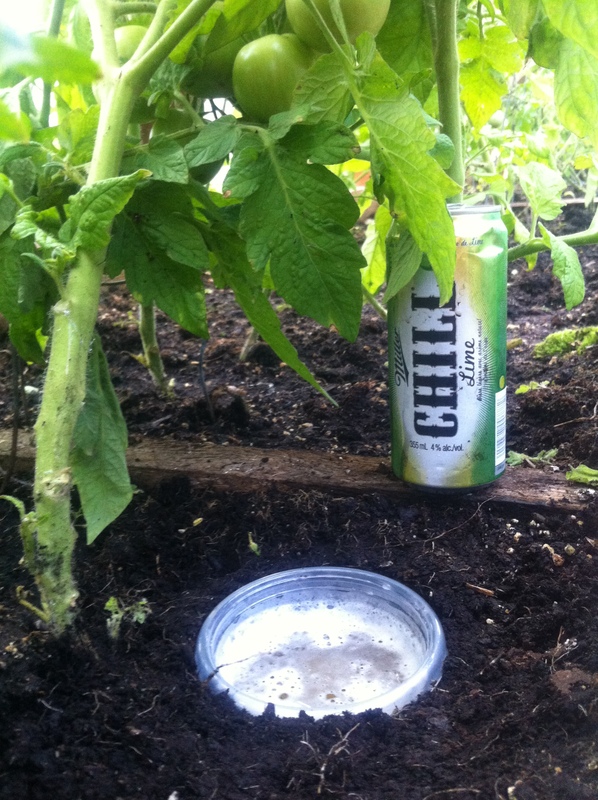 Sink a shallow plastic container into the soil and fill it within 1″ from the top of beer. Diatomaceous Earth ~ is a fine ground white powder made from the fossilized remains of diatoms (one-celled algae). The powder is very sharp to small garden pests and causes dehydration from cuts. Sprinkle the powder around the base of the plants you are protecting. It will be necessary to reapply after watering or rainfall outdoors. A Distractor Crop ~ slugs love red clover. A wise old gardener once told me to weed my garden selectively. 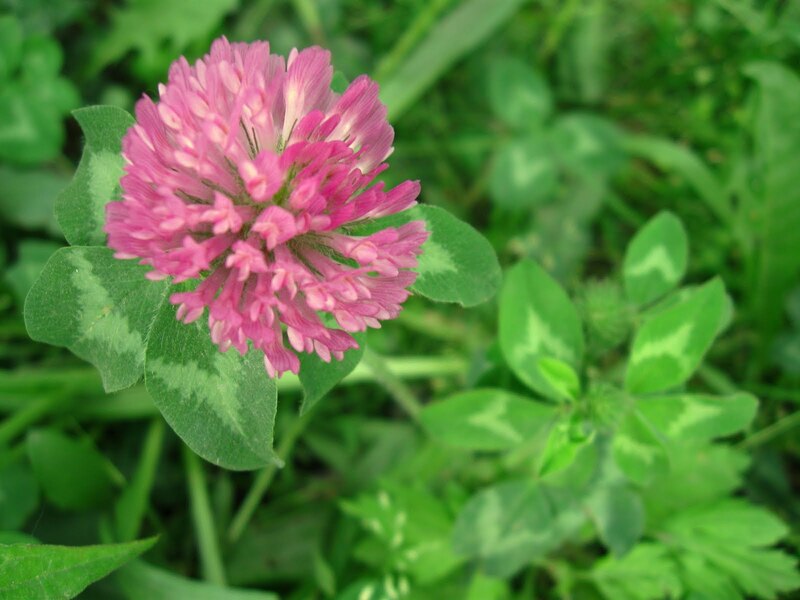 By leaving a patch of red clover in my garden, slugs will prefer to head to the legume that can be tilled down in the fall adding nitrogen to your soil. Hand Picking ~ it sounds yucky, but it is actually quite easy to catch a slug. It’s easy to track their trail of shiny slime and they’re not too fast. The best time to hunt for slugs is early morning or late evening. I even try to bait them to hide under wet shingles. 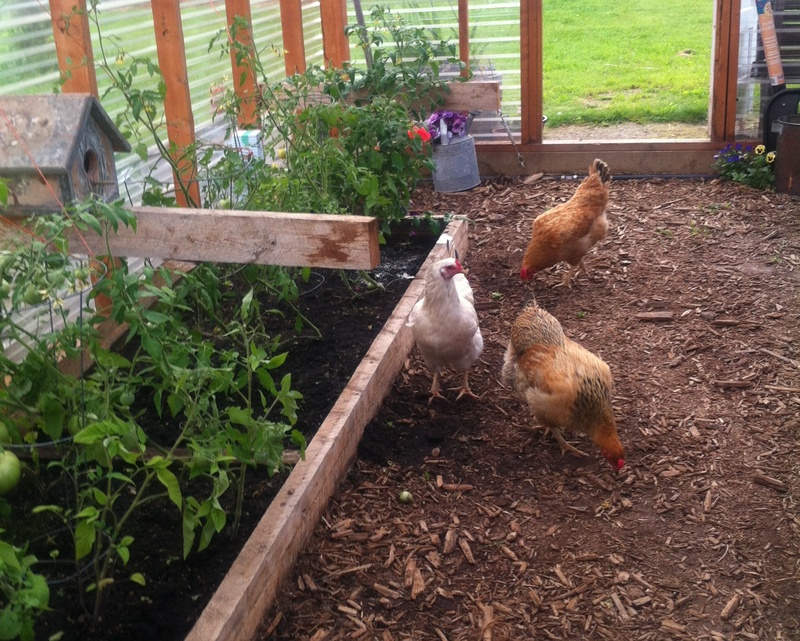 Unleash the Chickens ~ I assumed that all good ranch chickens would eat slugs. These ones eat every other pest they come across, but slugs . . . not. I understand other ranches have more dedicated chickens, but for now, I will have to continue picking by hand, but hopefully only for a few more days.